MIAMI (Sporting Alert) — Miami Heat have reached an agreement with forward Luol Deng, Adrian Wojnarowski and Yahoo Sports are reporting on Sunday. ESPN is also reporting that Dang’s deal has include a player option after the 2014-15 season. It is understood that the 29-year-old opted to join Miami after holding talks with Heat president Pat Riley and head coach Erik Spoelstra in “Chicago last week and further discussions between the player’s agent Ron Shade and club on Sunday morning. With Chris Bosh signing a five-year, $118 million contract on Friday, and Dwyane Wade, reportedly nearing a new deal as well, the Heat convinced Deng that they are still pushing to win championships. 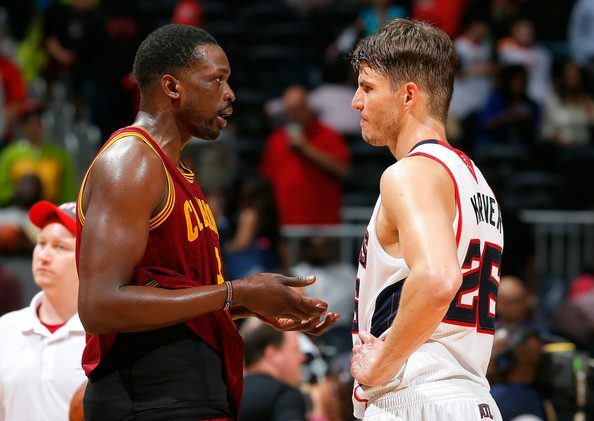 The former Chicago Bulls and Cleveland free-agent forward, who reported rejected offers from Atlanta and Dallas, is also expected to join forces with fellow free agents Danny Granger and Josh McRoberts. Playing in Chicago and Cleveland, last season, Deng averaged 16 points and 5.7 rebounds per game.